4-module course to give non-bikers the confidence to ride in city traffic. Fear of riding in traffic. Not knowing the rules. 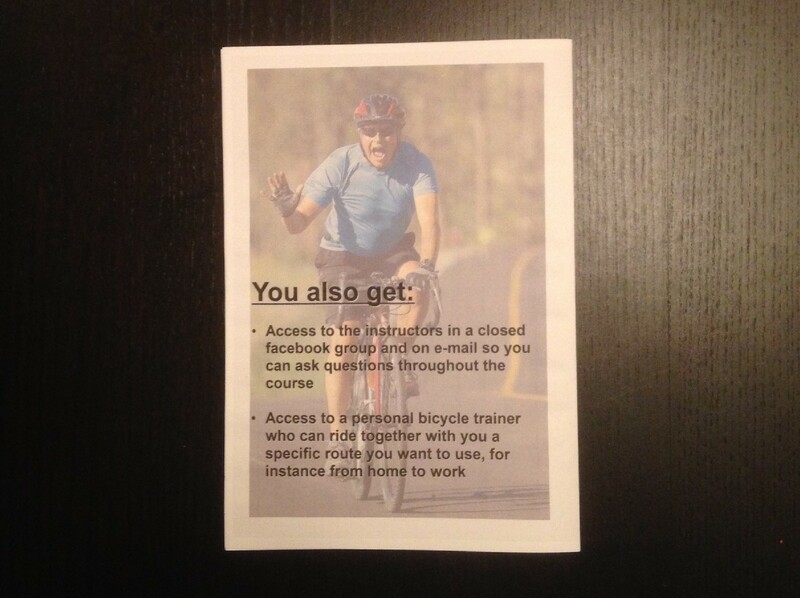 Module 1: The Bike. Visit from bike shops and bike repair shops to let participants try different kinds of bikes and find their ideal bike. 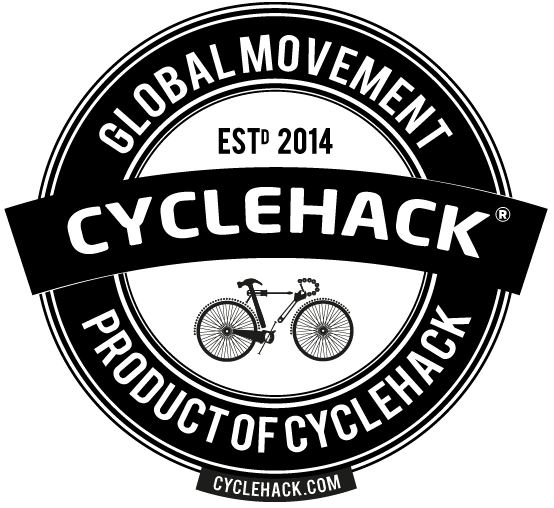 For those who have old bikes, they can bring them and have them fixed. Talk about bike, maintenance and extra equipment that's available. 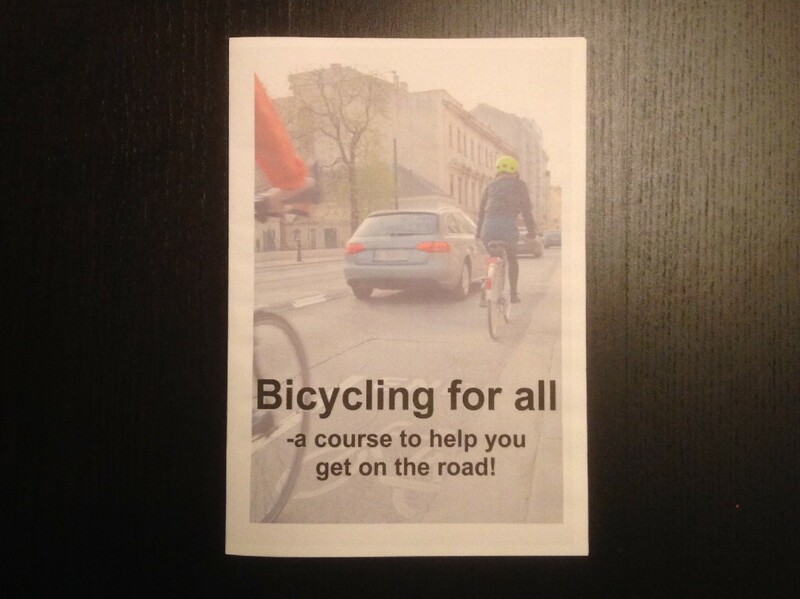 Module 2: Traffic rules for bicycling. Overview of bike paths and helping people find the best route for instance from home to work. 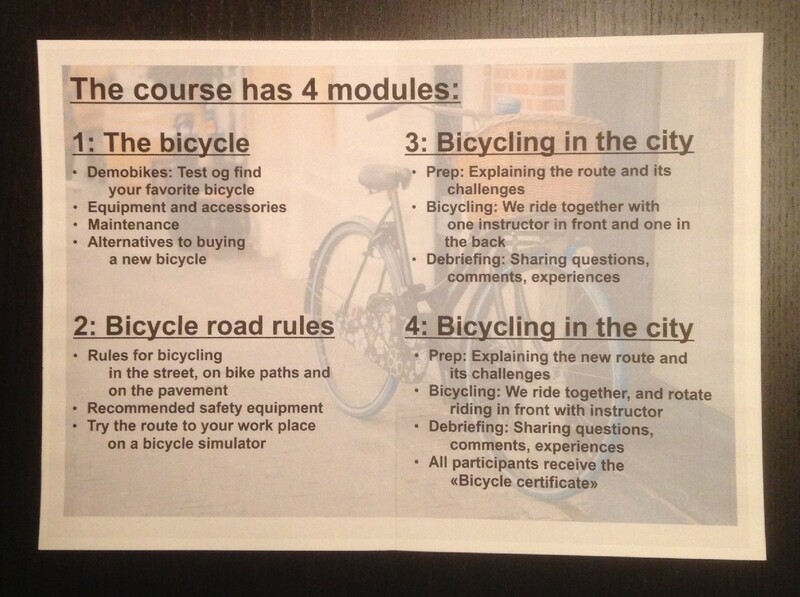 Module 3: Bicycling in the city. Easy route with instructor leading the way. Debriefing. Module 4: Longer ride in the city. Participants rotate on leading the way, with the instructor riding right behind to help when needed. Debriefing. After course: Fun ride somewhere to hang out and celebrate.